high quality veneers from thin to thick. -A space-saving copmact thick veneer slicer. 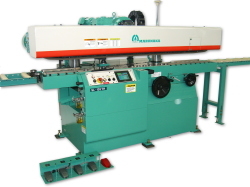 -Roller table reduces slicing resistance extremely low and enables thick veneer slicing. 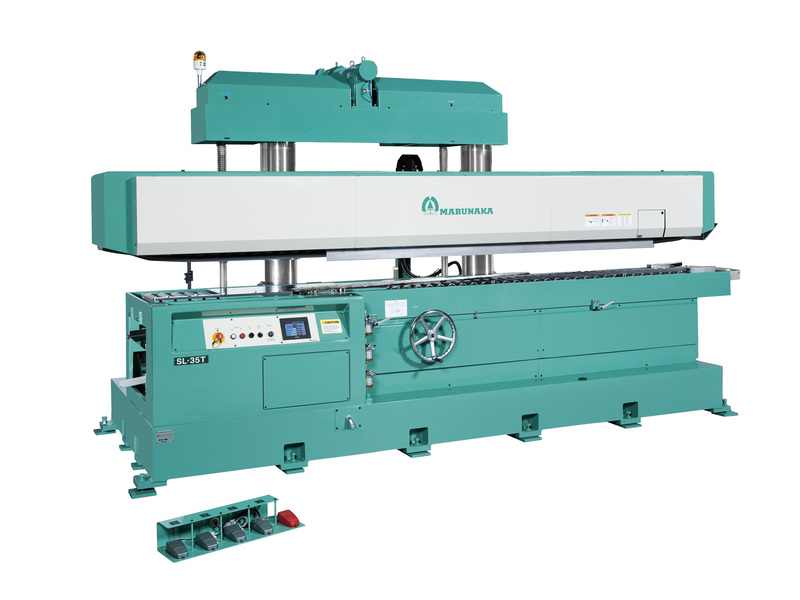 -Despite its compact body, the slicer enables the heavy duty slicing with its long feed belt. -With a powerful feed motor (11 Kw) with inverter, max.120m/min. is realized. -Return to repeat operation can be done by with a dynamic braking resister. -Water proof front table rollers. -5.2 inch color touch panel is easy to operate and find machine alarm. -A best-seller slicer for thick slicing. -With a powerful feed motor (22 Kw) with inverter, max.120m/min. is realized. -Head up/down motor with an inverter drive for more accurate indexing. -5.5 inch color touch panel is easy to operate and find machine alarm. Feature -The flagship model of thick veneer slicers. 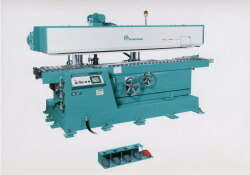 -The head is equipped with belt guide bearings for stable flitch feeding. - 5.5inch LCD touch panel switch for easy operation.